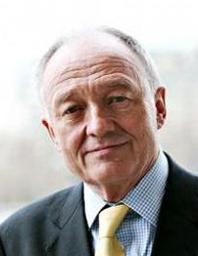 Ken Livingstone is a British politician, who made constitutional history on May 4, 2000, when he was elected mayor of London—the first time that British voters had directly elected a candidate to an executive office at any level of government. He served as mayor until May 2008. Before being elected as mayor of London, he was an active Labour Party Member by his early 20s. He was elected to the Lambeth Borough Council in 1971 and to the Greater London Council (GLC) in 1973. Between 1977 and 1981, when the GLC was run by members of the Conservative Party, Livingstone led a left-wing faction within Labour’s group in the GLC.